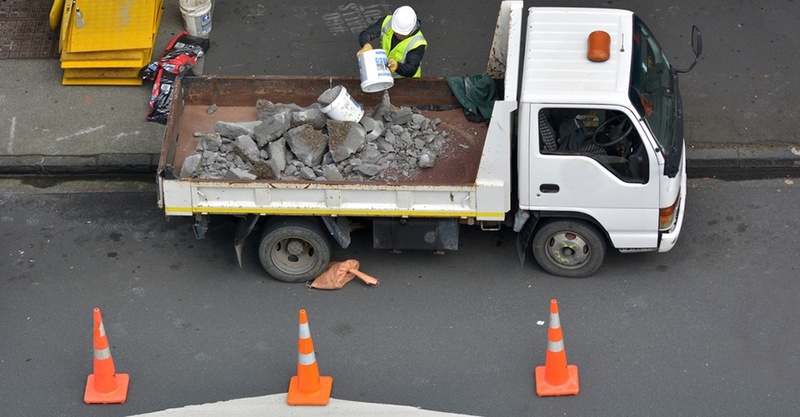 You may have already noticed that your state’s department of transportation has been dispatching construction crews to your local roads and highways. During the warm weather road construction season, additional hazards come into play for drivers and roadside workers. Expect the unexpected. Assume drivers don’t see you. Avoid having your back to traffic or use a spotter to watch your back for you. Have a communication plan between you and your spotters. Bring more attention to yourself by wearing ANSI Class 3 high visibility safety garments – recommended at night or during poor weather and low-light conditions. All workers, including emergency responders, within the right of way shall wear safety garments that meet ANSI Performance Class 2 or 3. When you need electronics for your job, remember to look up often and in alternating directions. If a phone call or text must be sent while on the job site, establish an anchor point (vehicle, structure, equipment) to put your hand or arm on while you use the phone. This keeps you from wandering while talking or texting. Some work tasks use handheld devices. Look up every 2 seconds to check for new risks. Use a Spotter if you need to focus away from traffic for longer periods. Be sure to get two full nights of sleep (7 hours each) before working the night shift. The best naps are 10-12 minutes long – Perfect for during lunch breaks. Make exercise/stretching part of your daily routine. Also of interest to our workplace safety audience: Did you know that SafeTec’s online, cloud-based system can capture transportation information within section 14 from Safety Data Sheets and make that data visible for your end users? We specifically capture the UN Number, Proper Shipping Name, Hazard Inducers, Hazard Class, Packaging Group and Marine Pollutant for the following transportation modes - DOT, IATA and IMDG.